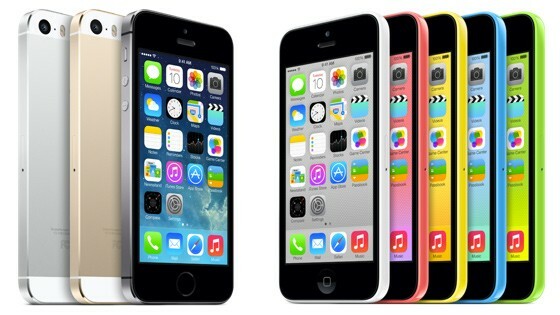 As everybody knows by now, Apple is due to release their announced iPhone 5S and iPhone 5C very soon. And so far, all the Apple fans are very excited to get their hands on one of the two new phones, or who knows, maybe they would get their hands on both. I don't get what the big fuss is about about their release. It's hyper than any other phone being released. I read and have seen articles where people are already lining up outside Apple stores weeks ahead so as to be the first people to get the products, yes, they're that excited to do all that. But what is the big deal about the new iPhone 5S and iPhone 5C? Is it just because they are Apple, that people would immediately buy it? What if you have an iPhone 4S or an iPhone 5, is it worth the upgrade? Some of the features that I have seen from watching launches and first hands-on from various tech reviewers are that they added a new row, making it 6 rows now, stretching the phone another inch vertically; a revamped home button, two new colors to the iPhone 5S rather than the typical black and white that we always used to see throughout the Apple products line, and the new move where they went plastic casing and with a few colors for the iPhone 5C. And people are wowing over it. I honestly don't see much of a difference aside from how they focus on the hardware and well, iOS7, that everybody knows of already, that everyone already has, even before iPhone 5S and iPhone 5C were announced and is for release very soon. Some people may get hype about it, but I guess I'm not one of those people. Sure, I like their flat UI of the iOS 7 and the sleek premium look to it, despite the 5C being plastic. But I guess I have yet to see what is the biggest upgrade to this aside from me still seeing how they were going for the physical aspect more to market their products.